narrowboat_Abigail_Jenna: Granchie. 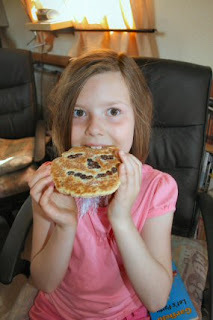 Can I have a Welsh cake please? Of course you can sunshine. But just the one or it will spoil your tea. Uh!! That is not quite what I meant!! More cycling yesterday evening to wind down. Just the two miles into Lincoln and back. 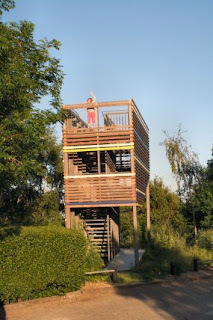 At the end of the ride there was a large car park and in the car park a tower that was just there to be climbed. On the return trip every single fly in creation came out and tried to land on us. We moved the boat back to Lincoln in the morning and after a leisurely ten minutes went off to visit Ian and deliver a food parcel of Welsh cakes. Abz, as an expert on playgrounds, spotted the one at Monks Abbey so on the return trip we stopped with an ice cream to rest. It was decided that although the park was nice it was designed for those of a shorter stature. 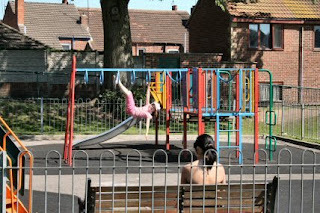 Great fun even then as we watched the children racing around the park with water guns spraying all their mates. Boat life has now gone very quiet.